Onion Over VPN is a powerful NordVPN feature that takes your privacy and security to the next level, and we’re one of the few VPNs to offer this feature. When you engage the Onion over VPN feature, you send your encrypted NordVPN traffic through the Tor network. This is one of the most powerful anonymization tools available to the public – though your internet speed is bound to take a significant hit, tracking your online traffic will become extraordinarily difficult. Few VPNs have Onion over VPN. To see our other features, click here. What is the Tor network? 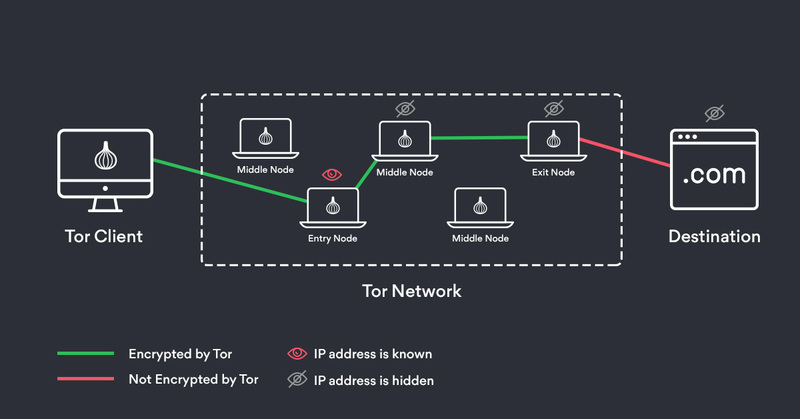 The Tor network anonymizes your traffic by sending it through at least 3 nodes, each of which hides the source of your traffic to make tracing it back to you extremely difficult. Each node only knows the next step in the chain and doesn’t know your source IP, meaning that tracking your traffic is nearly impossible. Because each node opens an additional layer of encryption, the Tor network uses an onion as its logo. The network also provides access to a unique type of website called an .onion site. These websites are configured through the Tor network, meaning that their creators can remain completely anonymous if they want to. That can lead to some interesting websites (click here to read about the dark web), but it also means that you must use the Tor network to reach them. Or NordVPN’s Onion over VPN. You can access the network using the Tor browser. What is Onion over VPN? 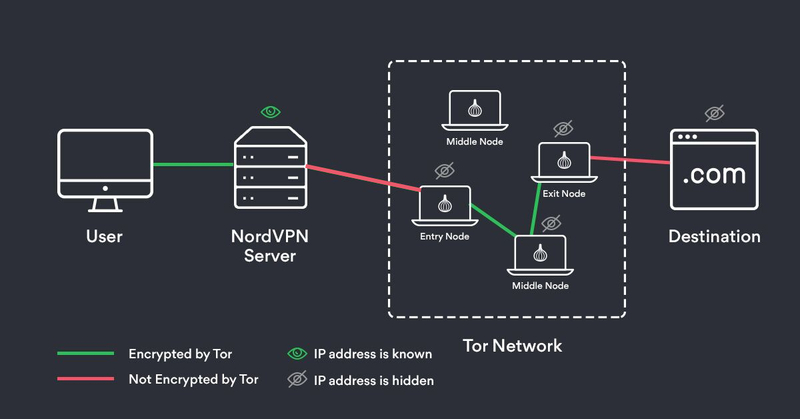 With Onion over VPN, NordVPN creates a seamless connection between its own secure VPN servers and the Tor network. After your traffic enters the secure NordVPN network, its is sent to the Tor network instead of our exit server. It then bounces through the Tor network and exits normally, reaching your destination. One important benefit is that our VPN prevents your ISP or any other snoopers from knowing you’re using the Tor network. Surveillance agencies may be interested in tracking Tor users’ actions, so hiding the fact that you’re even using this network is important. Because our feature routes your DNS traffic over the Tor network, you can visit .onion sites using our VPN and your favorite browser. Most popular browsers will be able to do this as-is, but Firefox will need a little bit of tweaking. However, we do not recommend connecting with ordinary browsers. The Tor browser is the most reliable tool for browsing .onion sites, and it will also help you stay secure on the .onion network, which can be a risky place! The Tor network is very secure. However, the owner of the entry node will be able to see your real IP address. After this node hides your address, the rest of the nodes will no longer know who you are. The last node will see what you’re looking at, but not your identity. Onion over VPN gives you an added layer of security by hiding your IP address from the entry node. Instead of getting your IP address, that node gets the address of the NordVPN server you’re connected to instead. If you aren’t browsing .onion websites, Onion over VPN allows you to enjoy the same protection as the Tor network while using your favorite browser with all of the features it offers. Note: In both use cases, accessing sites using HTTPS instead of just HTTP will greatly improve security by encrypting your traffic. Is using the Tor network risky? There are some risks when using the Tor network, but in terms of security and privacy, it’s generally better than using the wide-open internet. Accessing the network with a VPN can help you protect yourself from many threats, although you’ll still need to have your wits about you to stay as secure as possible. You’ll be safer, however, if you just use NordVPN with Onion over VPN without accessing the Tor network. This gives you all of the anonymizing and security benefits of the Tor connection without the risks associated with visiting .onion websites. The dark web, which is accessed using the Tor browser, can be used for both legitimate and criminal purposes. The same tool that gives journalists, whistleblowers, law enforcement officers, political dissidents, and other privacy-seekers shelter can and is also used by hackers, scammers, and other cyber-criminals. Just because you’re on the Tor network doesn’t mean you’re 100% secure – watch out! It can’t stop you from voluntarily revealing your identity. Tor, NordVPN, and Onion over VPN all prevent your identity, location, and IP address from being revealed automatically. However, if you log into an account that knows your identity or if you willingly reveal details about yourself, you can reveal yourself despite all of these protections. Take, for example, your personal email address. If you log into it while secured with Onion over VPN, the email server may not know it’s you who’s connected, but anyone you email will still assume, correctly, that they’re talking to you. The same goes for any other accounts tied to your personal information. It isn’t 100% foolproof. Nothing in the world is 100% safe, and that’s true on the internet as well. 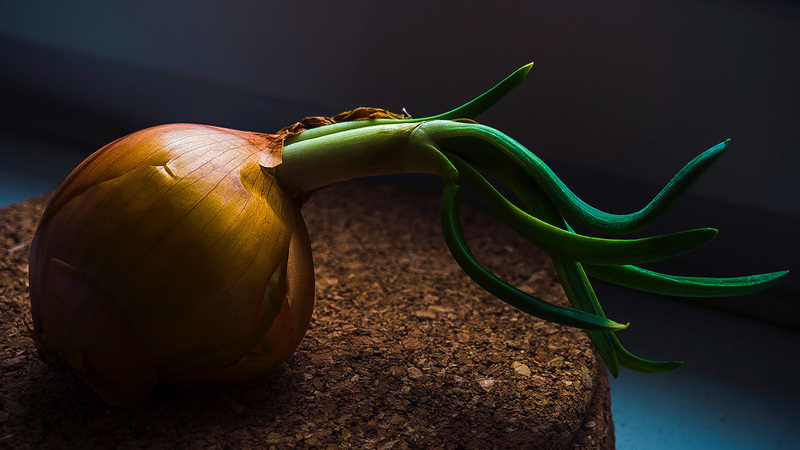 Tor has had vulnerabilities in the past, but cybersecurity researchers and academics spend plenty of times studying the network to find and eliminate weaknesses. It’s not perfect privacy and security, but it’s as close as most of us can get. Anyone can create and run a Tor node. The Tor network encrypts your traffic, making it difficult to see what you’re browsing. However, anyone can create a Tor node. There is safety in numbers, but this also means that a wealthy, powerful and capable actor (like, for example, the NSA) could potentially control a large enough number of nodes to track some users. A single malicious Tor node owner at either end of your Tor connection may be able to see your traffic or your IP address, but putting the puzzle together to see who you are and what you’re doing is much more difficult. To find out more about how NordVPN keeps you secure and private, click here.